The process of bringing electricity and telephone access to homeowners involves placing infrastructure such as telephone and power lines and poles into various locations in a neighborhood. Locating the power poles strategically so they do not reside on anyone’s personal property may be difficult, especially in more densely-populated areas. Anchor easements allow cities and utility companies to come to a property-usage agreement with private-property owners. Easement is a term used in real estate to describe property rights. Certain parties have the right to use another's property for specific reasons. Legal ownership of the property is retained by the original owner. Property owners may grant an easement for the public to gain access to the beach by walking through their property, for example. An anchor easement is a specific type of easement that requires a document to be completed by a property owner, giving formal consent to allow certain types of equipment to be installed on his property. For example, an electric utility company may need to install equipment called “anchors” and “down guys” on a person's private property. The utility company must get the permission of the property owner and have him complete the proper documentation. The utility company files the anchor easement for recording at the local courthouse to complete the process. 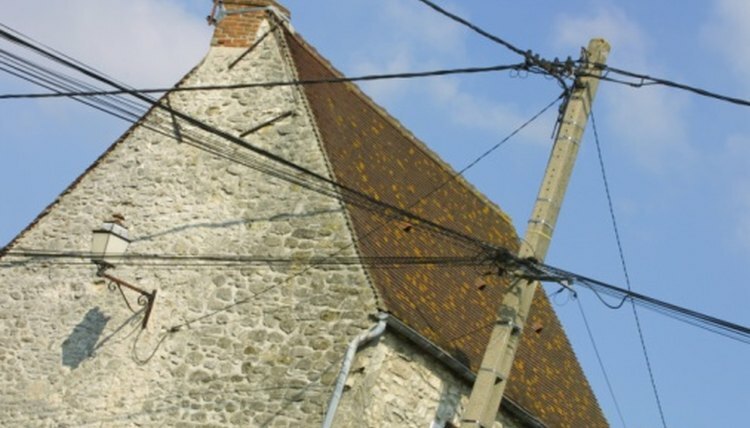 An anchor easement is sometimes required to have the necessary placement of poles to carry power or telephone lines. When a pole is originally placed, or needs to be repositioned due to new construction, the power company will approach a landowner and offer to purchase anchor easement rights for a certain sum. For example, a Utah power company purchased an anchor easement for $800 from a private property owner, which was determined to be the anchor easement’s fair market value. What Counts as a Utility Bill? An anchor easement may be defined in terms of an area of specific square footage. Other easements may overlap and conflict with the anchor easement. Additionally, if an anchor easement for one project is needed from several homeowners and not all agree to grant the easement, the utility company’s project might experience delays. Gaffney, Cynthia. "What Is Anchor Easement?" , https://legalbeagle.com/info-8657907-anchor-easement.html. 09 January 2018.